Being home to one of the largest variety of lighting solutions to meet the domestic as well as commercial needs, Sussex Lighting is undoubtedly one of the leading companies when it comes to classy and unique lighting solutions. 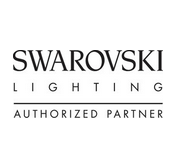 With a huge showroom showcasing the best from the industry’s most celebrated lighting suppliers, backed by a vast library of lighting catalogues, you are sure to find lighting solutions that are stunning and one of its kinds. We offer a friendly, relaxed and inspirational shopping experience in our spacious, stylish surroundings with our design team always more than eager to help you out with solutions and creative ideas. Our variety includes interior and exterior lighting, glassware, furnishings and art of the highest quality which are unique, exclusive and absolutely creative. Come and see us to have a look at our extensive range…. ... or we can come and see you too as we offer a thorough and professional lighting consiultancy service! Browse online through our lighting catalogues to get a glimpse through what we have in store for you.